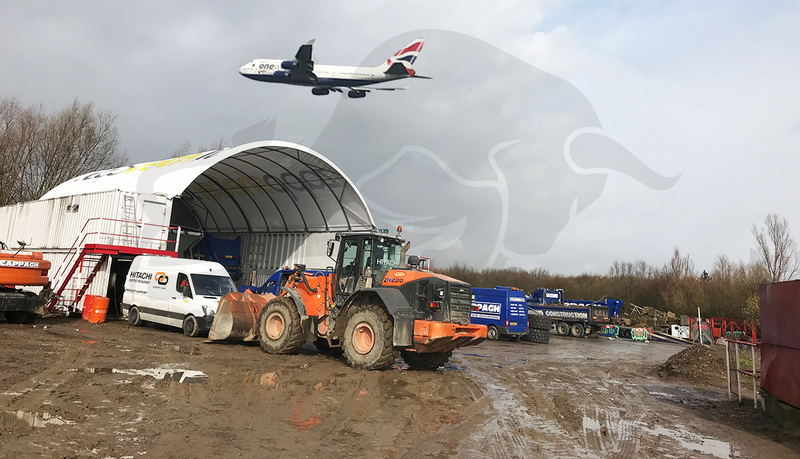 Family-owned civil engineering and construction company Cappagh have had an enormous Zappshelter installed on their quarry site just beside London Heathrow Terminal 5. It is fitted to double-stacked containers to enable the biggest of their machines to get undercover. Their Zappshelter makes an imposing sight from the road and from the air, where we reckon about 60 million passengers fly over it a year. Will they spot the Zappshelter logo on the roof? A roller door sir? is that with or without power? No problem to us! 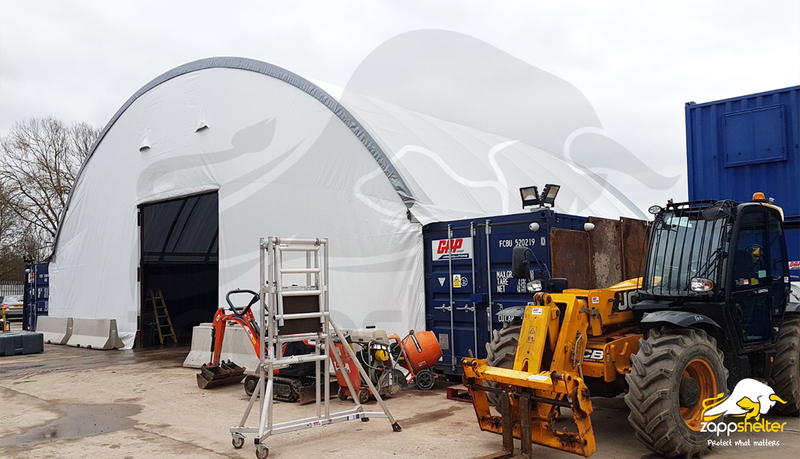 We made a cracking job of this one for GAP Plant Hire in Bridgewater, Somerset. Looks amazing, although I say so myself!